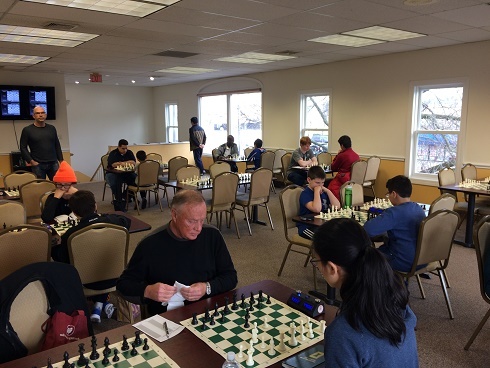 This week's Saturday G/45 Quads hosted 24 competitive players! All participants were organized into 6 total quads. In the first quad, Oliver Chernin, Ryan Young, and Vincent Tsay tied for first place with 2/3 total points each! 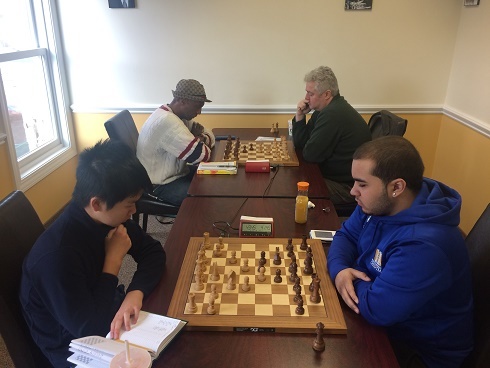 In the second section, Kenneth Fernandez played a flawless game and earned a perfect score of 3/3 total points! 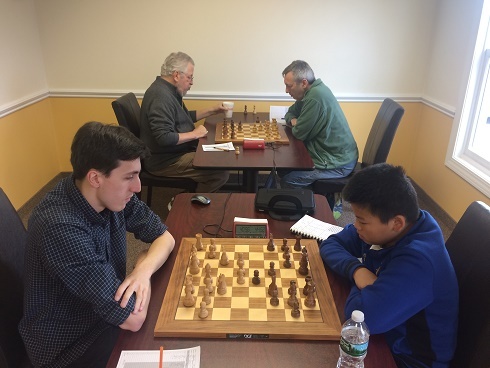 Dexin Li of the third section earned first place with 2.5/3 total points. Despite being the lowest rated player in fourth section, Joshua Chong earned first placed with 2.5/3 total points! The fifth section saw a four-way tie between Ethan Cushman, Aurelius Mlynar, Daryl Lavin and Rames Abhiraman each with 1.5/3 total points! And finally, Ben Persily played a remarkable game and earned 3/3 total points in the sixth section! Congratulations to the winners and thank you to all participants! We hope to see you soon!